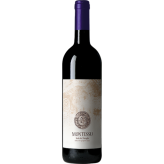 Agricola Punica is a joint venture between enologist Sebastiano Rosa, Sardinian winery Cantina di Santadi, Tenuta San Guido (home to Sassicaia), Santadi President Antonello Pilloni, and the late legendary Tuscan consulting oenologist Giacomo Tachis. Tachis has changed the course of Italian wine before. His introduction of Bordeaux varietals to the gravel-rich soils of the Tuscan coast gave rise to the “Super Tuscans”. During one of his first visits to the Sulcis region of Southwest Sardinia, Tachis began to understand the island’s potential for producing great red wines. He started to write a new chapter in Sardinian winemaking. Agricola Punica’s mission? 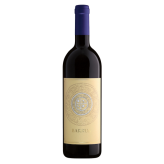 To produce fine wines that bring together traditional Sardinian Carignano with the Bordeaux varietals that Tachis was so famous for working with. The Southwest corner of Sardinia is a near-perfect environment for the demands of the Carignano vine: winters are mild and summers are hot and dry. Temperatures are stoked by the fierce scirocco winds that blow across the Sardinian Sea from Africa, perhaps the hottest in Italy. An extraordinary amount of sunlight enable the fruit to reach a level of ripeness such that tannin polymerization begins within the berry while it is still on the vine. The fruit is undeniably rich in colour, structure, and tannin, but reveals elegance and bright acidity in remarkably inviting wines.